Credit reports. Credit history. Credit scores. To anyone who has never owned a credit card, bought insurance or taken out a bank loan, these things might sound unutterably alien. For the average citizen of the digital age, however, maintaining 'financial cred' has become an inescapable, sometimes stressful, part of modern life. Unlike 'credit ratings' which are assigned to businesses and governments, a 'credit score' is a numerical evaluation of an individual's creditworthiness, or the likelihood that you will pay your debts. Consequently, a good credit score often goes hand in hand with healthy personal finances, functioning as one's 'financial barometer'1. Most people will have a credit history. In the United States, three major credit reporting bureaus - Equifax, Experian and TransUnion - receive credit information about consumers. Any company which supplies you credit, from student to personal loans, mortgages or credit cards, will report information about your credit events to these three agencies. From this information, the bureaus calculate your credit score. Most lenders, however, depend not upon the bureaus' scores, but upon the Fair Issac Corporation (FICO) score, which is a calculation based upon information taken from the credit bureaus2. Scores over 720 are considered to be excellent, while scores below 650 are considered poor. A 'good' credit score will make banks, insurance companies and potential landlords look benignly and favourably upon you, while a 'poor' score might get you shown the door. Potential employers often also look at applicants' credit reports. So how do you improve your credit score? Your first course of action should be to avail yourself of the free annual credit reports from Equifax, Experian and TransUnion. Financial consultant firm Credit Karma has a good tip: Space out these three reports at 4-month intervals, so you get a year-long indication of how your credit health is doing3. Check your reports for accuracy. Knowing what goes into the calculation of your credit score is also an important battle strategy. The five key factors used by FICO to determine your credit score are: 1) payment history; 2) amounts owed; 3) length of credit history; 4) new credit; and 5) types of credit card4. Your financial cred battle plan should aim for the following: Always pay your bills on time, in full. This is possibly the most important single factor affecting credit score calculation. Pay off any small balances on your credit cards. Use your credit cards less. Try for a credit utilisation rate below 20% between all your credit cards5. 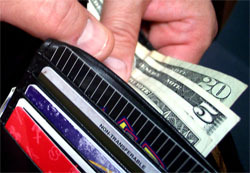 If you cannot lower your spending, request for higher credit limits on your cards, to improve utilisation percentages. Keep old (even unused) accounts open, to show that you have multiple options for credit usage, and to avoid decreasing the length of your credit history. Cancelling cards gives you fewer payment options while retaining the same amount of debt. In general, a longer credit history is better for your credit score. Do not open several new credit accounts in a short period of time, especially if you do not have a long credit history. 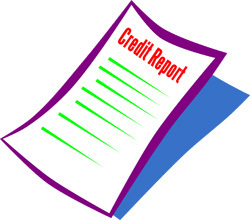 Lastly, review the types of credit you are using. Different types of credit cards are viewed differently by the scoring algorithm, and major credit cards are generally better regarded than departmental store cards6. NOTE: This article describes the credit scoring system in the United States. Every country has its own system. Some information about the credit scoring system in the United Kingdom is available here: http://www.moneysavingexpert.com/loans/credit-rating-credit-score. Wikipedia has some basic information about credit scoring systems in other countries: https://en.wikipedia.org/wiki/Credit_score. 2Investopedia, What's the difference between a credit rating and a credit score?